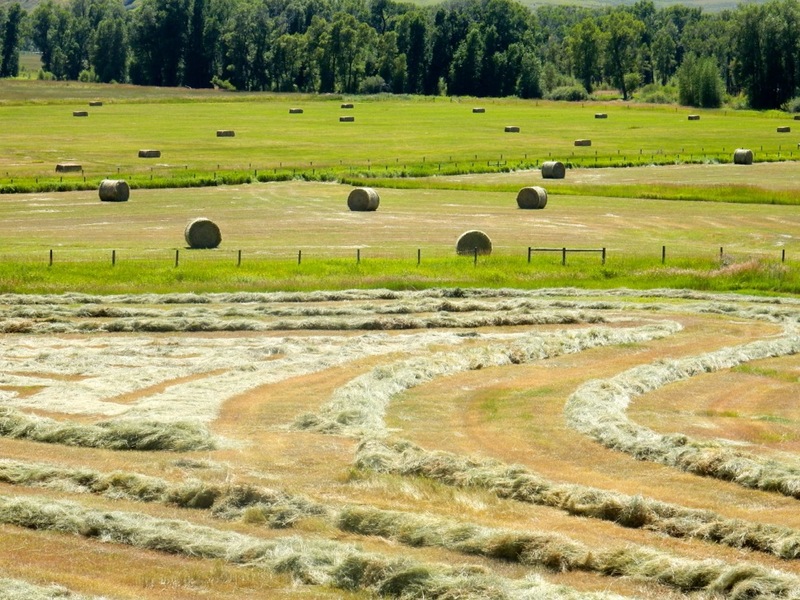 Hay fields in the upper Yampa River valley, northwest Colorado. WESTMINSTER — Colorado officials and regional water managers are poised to start working together on a plan to reduce water use in Colorado, mainly by paying willing irrigators to fallow hayfields, in order to bolster falling water levels in Lake Powell and guard against a compact call on the Colorado River system. After a series of meetings held last week by the Colorado Water Conservation Board and by Western Slope and Front Range water interests, state officials are now set to begin investigating the feasibility of a “demand management” program that’s “voluntary, temporary and compensated,” and water users and managers throughout Colorado will be asked to help shape the new program. He also laid out the Western Slope’s vision for the program, which centered on sustaining rural communities. “We want, from a West Slope perspective, our agriculture and our industries and our cities that are going to participate in these programs to have the opportunity to use the water when they need it, and to monetize their assets into a program when they can figure out ways not to use it,” Mueller said. Demand management is based on the idea that if water that otherwise would be used to grow hay, or turf in suburban settings, can instead be left in the river system to flow into Lake Powell, and into a new regulatory pool of water within the big reservoir, it will help boost water levels in the reservoir, allow for continued hydropower production at Glen Canyon Dam and help the upper-basin states meet their obligations to deliver a minimum amount of water to the lower-basin states under the terms of the Colorado River compact. A recently concluded four-year test program called the System Conservation Pilot Program paid irrigators in the Upper Colorado River Basin an average of about $200 per acre-foot of conserved consumptive use of water. 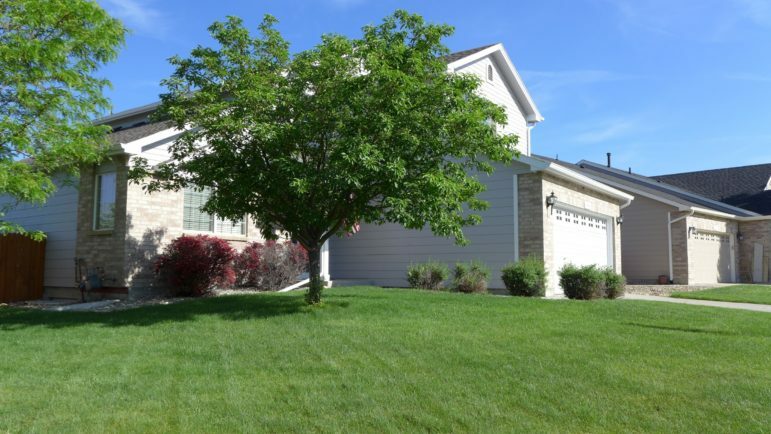 Fresh turf, in Thornton, near Denver. Jim Lochhead, CEO and manager of Denver Water, was sharing the stage with Mueller on Friday during a panel discussion, after they together had met Thursday with other Front Range water providers in a behind-the-scenes meeting. Lochhead said the Front Range and the Western Slope are united in their desire to avoid violating the terms of the compact. “No one wants the result of a situation where we haven’t come together collectively to arrive at a solution,” Lochhead said. The state’s emerging demand-management program is tied to the ongoing effort to approve “drought-contingency planning,” or DCP, agreements in the seven states in the Colorado River Basin: Colorado, Utah, Wyoming, New Mexico, California, Arizona and Nevada. Arizona’s governor on Thursday signed a required piece of state legislation in order to meet a federally imposed deadline, but there are still other DCP agreements that need to be finalized by a new working deadline, March 4. Federal legislation also is required to implement the regional agreements designed to keep both Lake Powell and Lake Mead operating as designed. The Colorado River, where Lake Powell once stood, in September. On Tuesday during a regular public meeting held in Westminster, the directors of the Colorado Water Conservation Board indicated they were in support of a staff proposal to form seven different work groups in 2019 to study demand management. 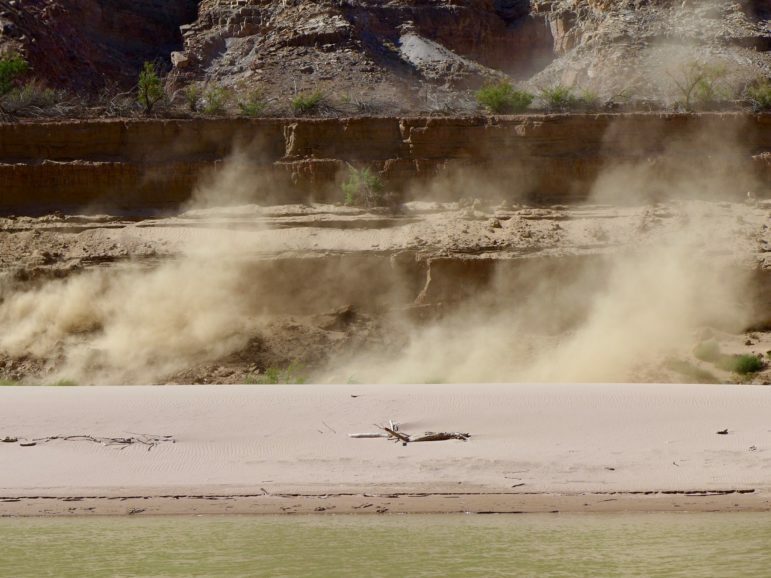 Brent Newman, the CWCB’s interstate, federal and water information section chief, and point person on Colorado River issues, told the agency’s board of directors that the state is not yet starting up a demand-management program; it is only studying the feasibility of doing so. He also said the state is not studying how a curtailment, or mandatory cutback in water use, would be administered by the state if the Colorado River Compact were to be violated. Karen Kwon, a first assistant attorney general of Colorado, echoed that stance in her remarks to the CWCB directors Tuesday. “We are not talking about how we would administer a curtailment,” Kwon said. Newman and Kwon are proposing that the CWCB set up work groups, staffed by hand-picked experts, to explore a “plethora of issues” raised by demand management, including policy; monitoring and verification; water administration; the environment; economics; funding; and education and outreach. The staff also proposed to set up a quarterly series of workshops for water users, managers and stakeholders, as well as engaging the state’s basin roundtables, which meet regularly in each of the state’s major river basins, on the issues raised by demand management. A detailed work plan for the proposed process is to be presented by CWCB staff to the agency’s directors in March. Editor’s note: Aspen Journalism covers rivers and water in collaboration with The Aspen Times and other newspapers owned by Swift Communications. The Times published this story Feb. 4.